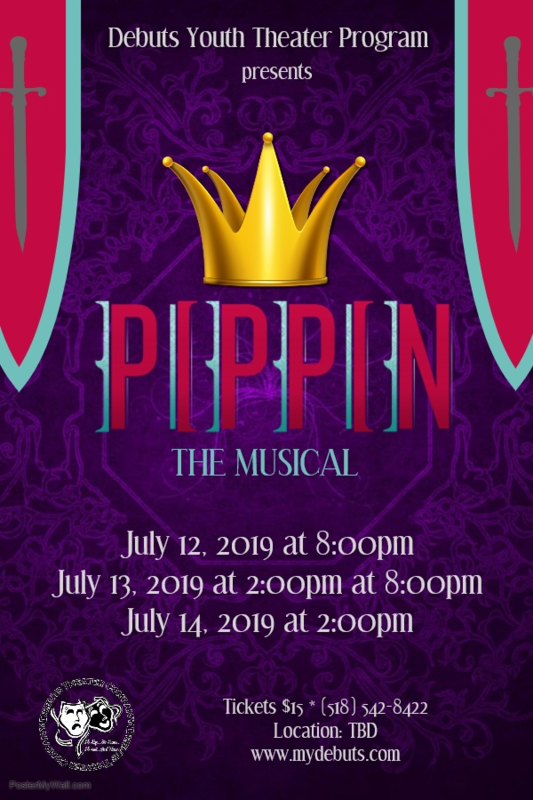 Looking for students 13-21 for Youth Theater productions of Pippin the Musical. Please bring 32 bars of music from an age appropriate Broadway musical. Headshots and resumes are encouraged. Please bring your own backing track or be prepared to sing acapella. Performances will be July 12-14, 2019. Rehearsals begin May 22 and will be Wednesday & Thursday nights (by call) as well as Sunday afternoons. A rehearsal schedule is available upon request. Tuition cost is $375.